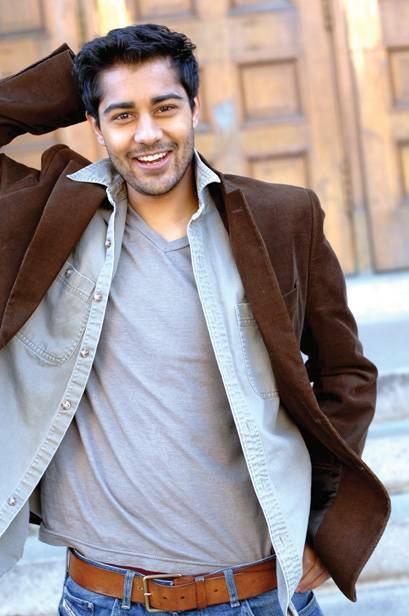 In the film adaptation of “The Hundred-Foot Journey,” which hit theaters Friday, Orangeburg native Manish Dayal stars as Hassan Kadam, an aspiring culinary chef. In his role, opposite Academy Award-winner, Helen Mirren, the 31-year-old Indian-American actor finds himself living a dream in his first leading role. His mother, Hema Patel, said, “He’s always had a passion and wanted to be in acting. He has a degree from George Washington University in international business, but even after he graduated, acting was his passion. Dayal may take residence in both New York and Los Angeles, but his roots are in Orangeburg. He attended Marshall Elementary School and later went to Healthwood Hall in Columbia. The Orangeburg native is the son of Hema and Sudhir Patel. He changed his surname from Patel to his grandfather’s first name Dayal in an effort to stand out amongst other Indian actors within the Screen Actors Guild. It was more than a name change that thrust the international star into the spotlight. It was hard work and dedication that has allowed him to act in nearly 40 television and film projects. Dayal works with The Nanubhai Education Foundation, a non-profit based in New York that works to transform public education in rural India. In his latest role, Dayal’s character Hassan and his family flee Mumbai after a riot in search for a better life. They settle in southern France in the village of Saint-Antonin-Noble-Val and open up their restaurant 100-feet away from an upscale French restaurant run by Madame Mallory, played by Mirren. The two restaurants, the Maison Mumbai and Le Saule Pleureur, go head- to-head to compete for business. Their icy rivalry melts after Hassan and Mallory learn how to combine the cultures of their cuisines and become close friends. The DreamWorks film, based on the 2010 bestselling novel book of the same name by Richard C. Morais, is co-produced by Steven Spielberg, Oprah Winfrey and Juliet Blake. “The Hundred-Foot Journey” is directed by acclaimed Academy Award and Golden Globe nominee Lasse Hallström. Dayal took French lessons to prepare for his role and is no stranger to Indian cuisine, growing up in a Gujarati family. Contact the writer: kdavis@timesanddemocrat.com or 803-533-5552. For “Insightful Inspiration” follow on Twitter @KimberleiDavis. T&D Staff Writer Dionne Gleaton contributed to this report.